Everything is so much simpler than we try to make it, and everything is so much more complicated than we can possibly imagine. 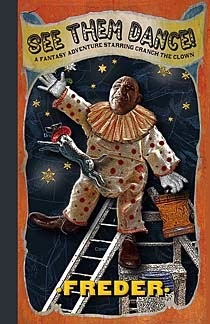 Image from my own TAROT OF THE ZIRKUS MAGI © 2013 Duck Soup Productions. Visit the site to watch the deck grow! The long process of duping all my old vinyl LPs over to electronic format is almost done. I’ve got maybe a couple of good albums left that I have put off just so that I wouldn’t be stuck with nothing but dreck at the tail end of the project — but of the dozen albums remaining, most of it really is dreck. This morning I did the first (and as far as I know, only) album to come out of the original Saturday Night Live, featuring the original Not Ready for Prime Time players. This made me smile a bit, but it also dredged of thoughts of Time Passing By. I was in High School when SNL debuted. At that time I thought of it as being Not As Funny as Monty Python, but also harder for me to process than Python. 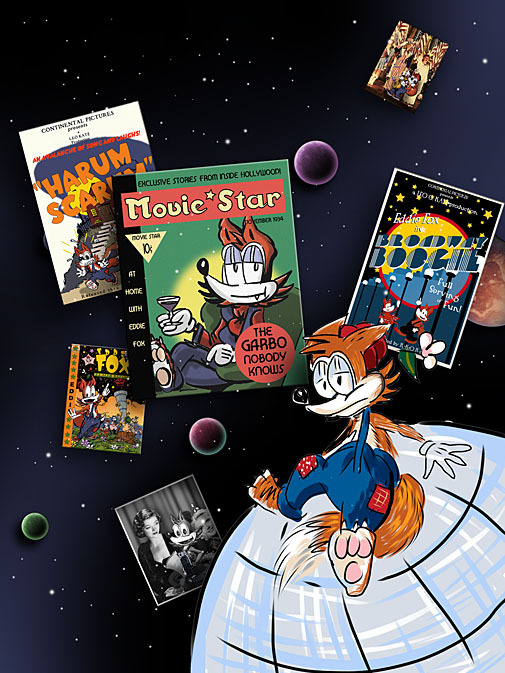 This, I now know, was Asperger’s manifesting itself. Python was by far the more visual of the two and with its mannered British voice easier for me to absorb, whereas SNL was largely verbal, not counting Chevy Chase falling all over the place. That’s neither here nor there. It dawned on me today that for young people now in their twenties, the seventies are just as far removed as the thirties and forties were to me. Here’s part of what time does: the thirties and the forties still seem like far-off distant lands, but the seventies still feel to me like yesterday. Those now in their twenties will experience the same feeling in their own way, soon enough. I used to believe that things didn’t actually change all that much throughout the eighties and nineties. Culturally, yes: television changed a lot during that time; meanwhile Reagan and Bush the First were pushing the country farther and farther to the right while I just stood still in my beliefs. Call me an Eisenhower Republican, which as anyone ought to know is a very different animal from a Bush Republican. I’m now registered as a Democrat, because the political world has shifted so far under my feet. But physically: the cars, the houses, the dress, the way we lived our lives and the tools that we used — I would have told you back in the early ‘naughties that it all hadn't changed all that much. Certainly not nearly so dramatically as the five decades between the twenties and the sixties did, each with their own distinct culture and flavor. Of course now I think differently. In nearly every respect, the world is a completely different place now than it was even two decades ago, and the rate of change does seem to be constantly accelerating. There are the Constants that I think will never change: Religious Intolerance, the human capacity for War, that sort of thing… there’s still no level that humans will not stoop to. But in most other ways, we’re living, as my friend BC sometimes likes to point out, in what for people of my generation is a Science Fiction World. We’re only missing the flying cars that fold up into briefcases. The world is far more corporate controlled than it was. Big Business always did hold sway, but Big Business now vs. Big Business then are two different animals. The Corporate Culture has had a distinct and negative impact on the world: we are today far less free than some of us were twenty years ago. Another difference is more subtle. I can never recall a time when I was anything less than fascinated with the World that had existed before I was born. The first half of the twentieth century and the last half of the nineteenth were for me always marvelous sources of culture, places that I lived in vicariously. Perhaps because it was dead and gone, it was easier for my Aspergian mind to comprehend than the wild rush of things that were happening all around me. I could learn the past by heart; but the present was always full of surprises, most of them unpleasant. I don’t see that in the twenty and thirtysomethings of today. They seem to have little or no interest in What Has Gone Before, in The Story So Far, so to speak. Their eyes are turned forward. They have their Katie Perrys and … whatever else it is they listen to these days, and Past Cultures hold no interest for them. John Belushi and Gilda Radner have been dead for a long time, now. 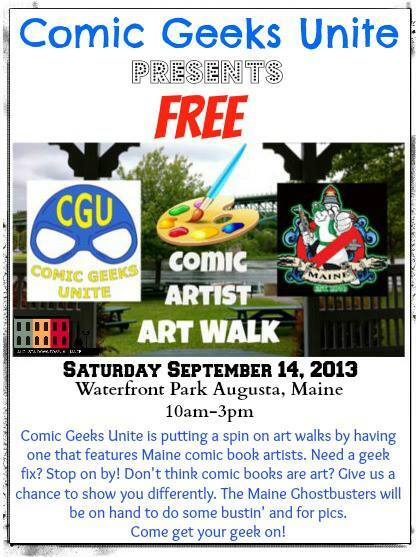 Come to that, so has Graham Chapman. They used to have the world by the balls. Given enough time, they won’t even be remembered. Tinsel*Town #2 cover art Revealed! Take a gander: here is the new cover art (sans all logos and lettering) for Tinsel*Town Vol. 2: Love and Death, coming soon from Duck Soup Productions! So — I have my “Publications” file open and it is a mighty list: Things that I will do, things that I hope to do, things that I would like to do and things that I could do if the Fates allow. It’s now time for me to sort it all out and see what actually will get done before the end of the year. All Publishers have seasonal lists. I’ve run through my Winter and Spring lists (see the sidebar and visit the Bookshop for everything I’ve done this year); unfortunately Spring ran into Summer, as it has a habit of doing, and as usual I did not allow enough leeway in time and resources. That’s generally my downfall with any and all creative planning: it always takes longer than I thought and hoped it would. But this — what I’m about to lay down here — this much I know I can do. I think. 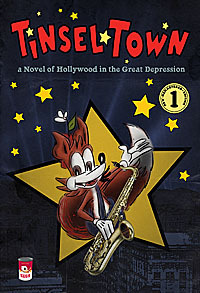 Coming up later this month is Volume 2 of Tinsel*Town, my graphic novel of Hollywood in the Great Depression. 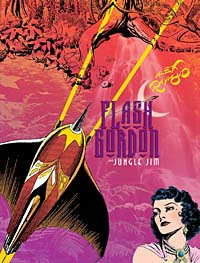 The image you see above will not be the cover; it’s a cover I did for an earlier PDF edition of the series, and is posted here as a teaser. 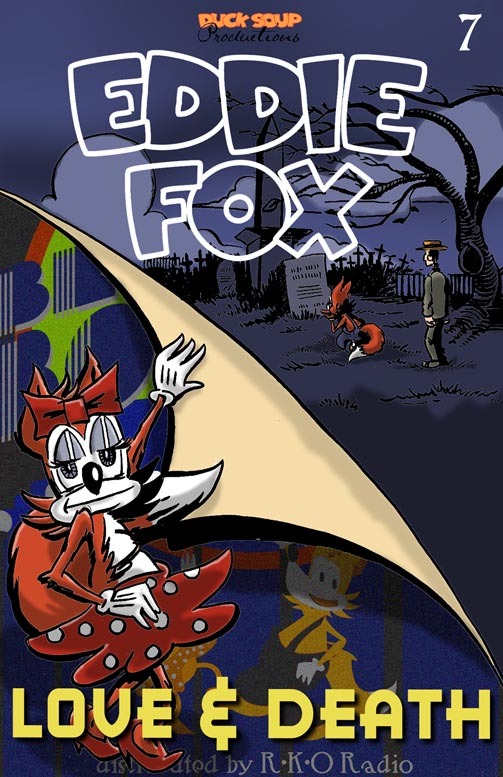 This is where things start to turn for Eddie Fox: for better and for worse. 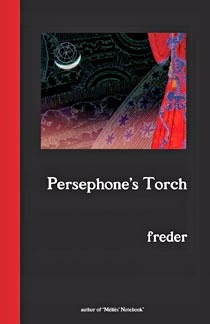 Unfortunately, this volume will represent all the material that I have completed for the novel. There won’t be any more unless you support the project! Do you want to see how it all ends up, or will the story of Eddie Fox remain unfinished, like Edwin Drood’s? That is entirely up to you. 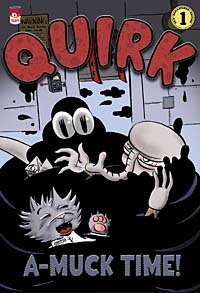 In October, Volume 2 of my ongoing comics series Quirk will hit the stands! This volume features “Termination Alley” — the beginning of a major new story arc that changes everything forever for Quirk and his pals Carpy, Smith and Sludge. You won’t believe where the series goes from here! — The crew of The Frigid can hardly believe it themselves! And wait till you meet — The Dalai Dada! Remastered, Relettered and in full color. Now, if I’ve played all my cards right, so to speak, November will see the release of my new novel, See Them Dance — a fantasy adventure like nothing else out there. 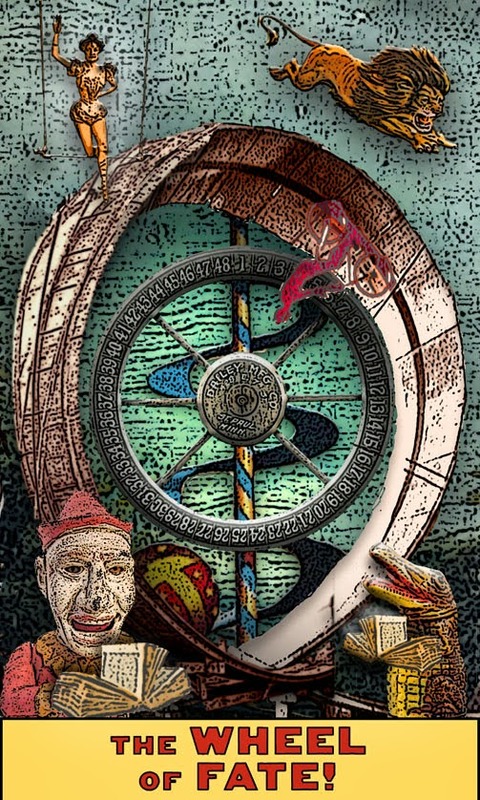 Complementing the book, available either by itself or in a limited edition set with the novel, will be the Majors-only version of my Tarot Deck, Tarot of the Zircus Mägi. 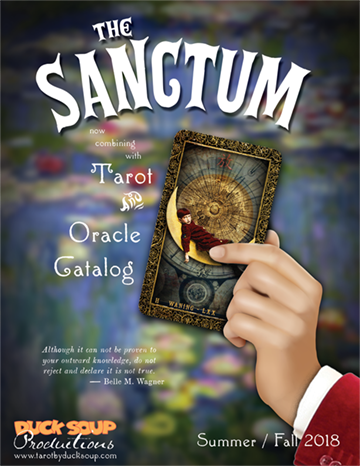 I’ll be teasing the novel here over the coming weeks, and previews of the tarot deck are always available at www.circustarot.blogspot.com . This is easily my biggest logistical challenge so far… so cross your fingers that I get it all done on time! 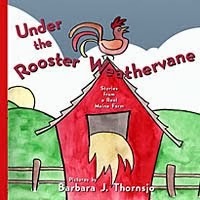 Assuming all that goes according to plan, in December, just in time for Christmas, Duck Soup Productions’ first Children’s Book will debut: Under the Rooster Weathervane by Barbara Thornsjo. More details about this will roll out as the publication date gets closer. 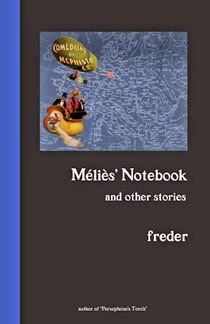 It’s already well along in production: it will be an 8” x 8” paperback. 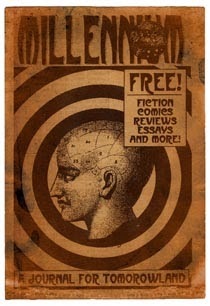 Believe it or not, there’s lots more on tap, including the full 80-card version of the tarot deck, more Quirk, another new novel and a nonfiction volume about the life of an obscure New England folk artist. Some of it I meant to get to this year. In practical terms, I don’t think I can make it happen in that timeframe. But hey — there’s always next year, yes? Stay with me here, please? I can’t make it happen without you! But no. George Valentin wakes up. It’s just a Dream Sequence. From there, The Artist returns to plodding along with its melodramatic story, not so much parodying the great silent Weepers or even giving tribute to them, but merely emulating them slavishly… a straightforward silent melodrama about silent melodramas told in the style of silent melodramas. I liked The Artist, but did not love it. It has buckets of charm and does what it sets out to do with lots of verve and dedication. But the filmmakers are on record as calling this “an Art Movie,” and an Art Movie it is not. It is a purely commercial film telling a purely commercial story that just happens to be silent. There is so much creative potential wasted in this movie that what we have here is kind of a tragedy — at least, a lost opportunity. The story is set in a Hollywood where silent pictures are giving way to talkies; why not make innovative use of sound to fashion a kind of hybrid movie style? A movie in which some people talked and some didn’t, in which some sounds were heard and others only hinted at with music — this would have resulted in a genuine Art Movie instead of the really quite ordinary picture that we got. I can’t help, for example, but believe that Woody Allen could have accomplished much, much more with this same material. So, yes, I am breaking one of my own cardinal rules and knocking a movie not because it fails at being what the filmmakers imagined (it doesn’t), but because they didn’t imagine enough. It’s not enough to be Silent in a modern age of sound: that’s been done before. Mel Brooks did it thirty years ago. Sean Branney and Andrew Leman did it better with their Call of Cthulhu. The filmmakers have failed in the department of creativity, imagination, ambition and vision. The scene that I described earlier (and the ending, but by the time the end rolls around it’s too late) are the only moments where The Artist sets its sights on something higher. There are other problems. The Artist bends film history in order to make its points. “Antiquation” is not what obliterated the established galaxy of Hollywood Stars that existed in the late twenties. Yes, the Grand Opera style of acting was passing away because words could get a point across so much more efficiently than emoting. A few actors could not learn how to tone down their style. More often, careers were killed by physical limitation: many of these stars did not have speaking voices that matched their on-screen personas. The sound and the image did not meld. Temptresses cannot squeak. Dynamic heroes cannot bleat. Some tried to take voice lessons to meet the needs of sound. As you might expect, this was not much help. The Artist could have benefitted from reality. Some fortunate ones who had voices that perfectly matched the characters they played onscreen actually went on to greater successes in the sound era: Laurel & Hardy, W.C. Fields and the Barrymores for three. Buster Keaton had a good voice and was looking forward to meeting the challenges of sound. Keaton’s career was murdered by Other Forces: Bad Marriages and a drinking problem, yes, but more than that, he was sold downriver to another studio that a) did not know what to do with him and b) would not allow him the freedoms that he had always known to do the kind of work he did best. Some people just need to be left alone, and Keaton was one of them: but Hollywood had entered a period where The Studio was basically a domineering parent. They knew what was best for their children, the stars. Well-behaved children were rewarded, while the recalcitrant ones like Keaton were shunted aside. OK. But when Valentin, having hit upon misfortune, passes under a movie marquee that reads “Lonely Star,” or when the leading lady becomes his Unknown Benefactor and the screen is suddenly filled with a poster for one of her movies called “Guardian Angel” … this is just Too Cute for Words and the director needs to have the camera dropped on his fingers. It’s all beautifully acted by an international cast that includes James Cromwell (always a welcome addition), John Goodman and — in a part that hardly warrants his status and must have been cut down dramatically from what was shot) — Malcolm McDowell. While Beronice Bejo is merely serviceable in the role of the heroine, Jean Dujardin in the title role of Valentin is flat-out remarkable. In real life he looks nothing like the part that he’s playing here, and it’s not done with make-up. 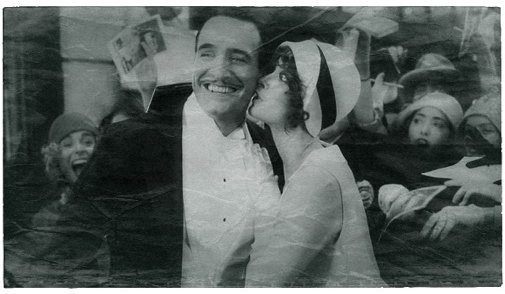 There was a real danger in casting this role with someone who might just have Pretended at being a Silent Star (that’s Bejo’s real problem)… instead, Dujardin inhabits the part to perfection. I believed in George Valentin, in the same way and for the same reasons that Gloria Swanson made me believe Norma Desmond in a much cleverer movie on the same subject, Sunset Boulevard. Valentin is one of the more challenging roles I’ve seen in modern movies: although the picture is a silent melodrama and needs to evoke what I’ve already referred to as grand opera silent style, it still has to be real. Dujardin did win the Best Actor Oscar for his work this picture and he certainly deserves it. In the end, it is his performance that makes the film worth watching.